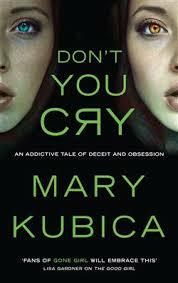 BleachHouseLibrary.ie: Book Review - "Don't You Cry" by Mary Kubica. Quinn is concerned. Her flatmate, Esther, has vanished into thin air and when she discovers a strange letter and receives a very odd phone call, she begins to fear for her friend's life. Alex is fascinated with the appearance of a new face in his small town, just outside Chicago. The girl brings out things in him that he never knew existed. Two stories of discovery are told in tandem, bringing the reader on a journey of suspense and mystery. This is Mary Kubica's third title with Mira UK and I have been lucky to be an early reader of all three. 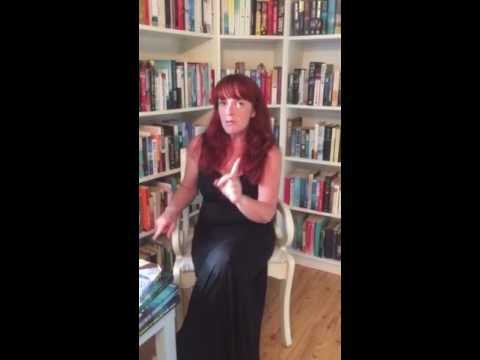 With The Good Girl and Pretty Baby, Kubica placed herself firmly amongst the finest contemporary thriller authors that are ever-present on Bestseller Lists in Ireland and the UK. This latest story sees a slight variation in her writing style, with more descriptive passages and locational detail. I feel as if know parts of Chicago now, despite never setting foot there. Alternating chapters allow a gradual build up of the two main protagonists, Quinn and Alex, while the reader gathers information on the two mysterious characters of Esther and Pearl. The two separate storylines are equally intriguing and the pace is slow but steady. This is not your typical thriller. It has a bit more depth, making it ideal for a slower read which is character based. This is not to say it is not thrilling. In fact, it has a lot more to offer than a run-of-the-mill thriller. It has some exquisite detailed prose and some very memorable characters. The novel picks up pace in the second half and the chapters just can't come quick enough. Mary Kubica has done it again. A wonderfully taut read, with above-par detailed description and powerful prose, Don't You Cry is one to savour. Don't rush through it, like you may normally do with thrillers, but slow down and take in each word. You may find yourself transported to the streets of Chicago or to a seat in a small town diner, smelling the coffee and bacon. One thing is for sure. You are getting a fantastic story, with characters that play with your head. You can read my review of The Good Girl here and my review of Pretty Baby here.